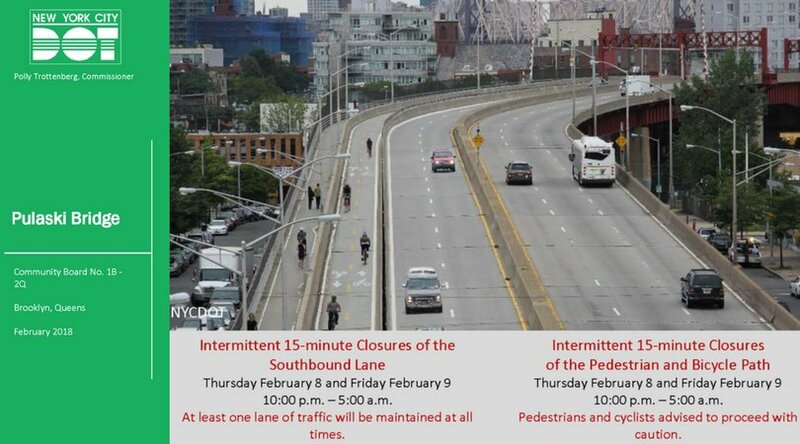 Pulaski Bridge intermittent closures tonight, 2/8 & Friday, 2/9 between 10PM & 5AM. Intermittent 15-minute closures will impact one southbound vehicular lane, pedestrian & bike paths. Pedestrians and cyclists advised to proceed with caution.